Who doesn’t know of the South Korean show Running Man? It’s a variety show in which members participate in a particular mission to win a prize. In each episode, rising stars are invited onto the show, for example idols, actors or actresses, comedians, and athletes. A very popular member of the South Korean girl group EXID, Hani, guest-starred on this variety show and made a very good impression. Let’s get to know more about the show Running Man. Hani was invited as a guest to appear on the show twice. She showed an unexpected charm while on the show, and most of the members and other guests loved her. In one episode she appeared in, Hani was like a little sister for another member on the show. She also received a new nickname after appearing in her first episode. 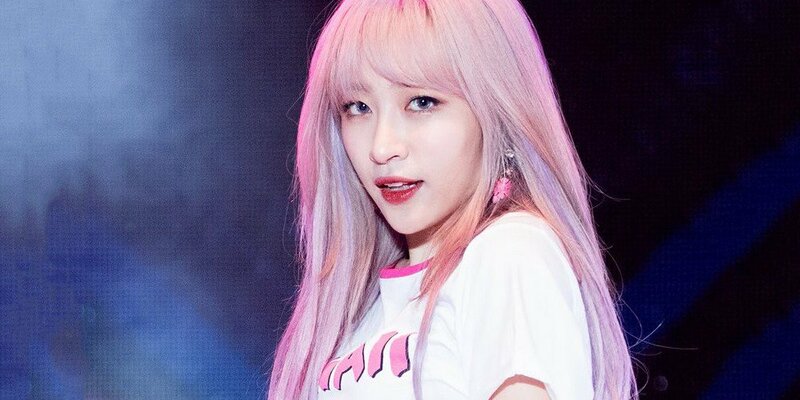 Hani appeared for the first time in Running Man’s 237th episode, entitled “The Greatest Love Race,” along with Jung So-min, Nam Ji-hyun, GFRIEND Yerin, and Yoon So-hee. 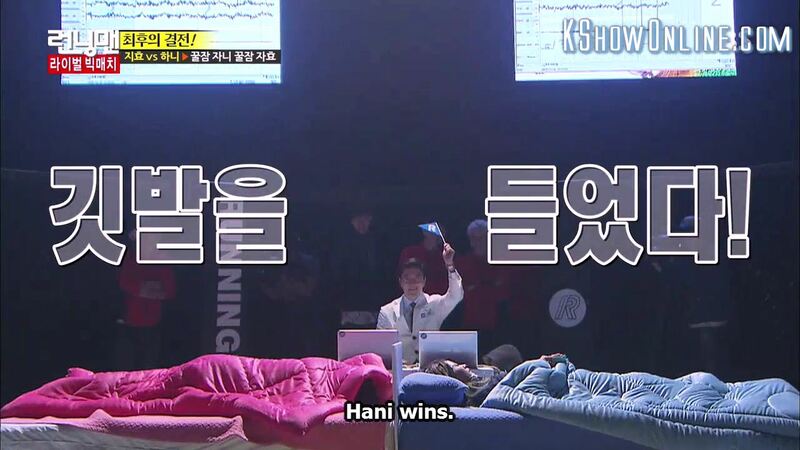 This was a couples race, and Hani was paired with Yoo Jae-seok. The mission for this episode was to find the object that had the lowest density. In this episode, Hani was unexpectedly charming. She used a hair roller for her bangs, a mouth sprayer, and even slept while the show was broadcasting. She slept very deeply in the car. She also showed her competitive side when she was faced with the task of diving into the water, which she didn’t want to do. Unfortunately, Hani didn’t win in this episode, which aired on March 8, 2015. The second episode of Running Man that Hani appeard in was episode 275, “The Rival Big Match,” along with Hong Jin-ho, Im Yo-hwan, Kim Hee-chul, and Leeteuk from Super Junior. This episode, which aired on November 29, 2015 showcased a match between an older group and a younger group. We know that in Running Man, each member has a rival: Yoo Jae-seok with Kim Jong-kook, Kang Gary and Haha, Lee Kwang-soo and Ji Seok-jin. In this episode, Hee-chul and Leeteuk, and Hong Jin-ho and Im Yo-hwan, were also added. Before the group match, the rivals competed with each other first to know who was in the “older” group or the “younger” group. Hani competed with Song Ji-hyo to throw a straw into a bottle, a match which Song Jo-hyo won. The “older” team is able to ask a member of the “younger” team to do things. In the first game, Yoo Jae-seok’s team (which consisted of Ji Seok-jin, Kang Gary, Song Ji-hyo, Hee-chul, and Im Yo-hwan) was the older team, but this changed after the first game, and Kim Jong-kook’s team that consisted of Haha, Lee Kwang-soo, Leeteuk, Hani, and Hong Jin-ho became the older team. In the final mission, the rivals from each team competed again, and the score was added up to see who won the game. 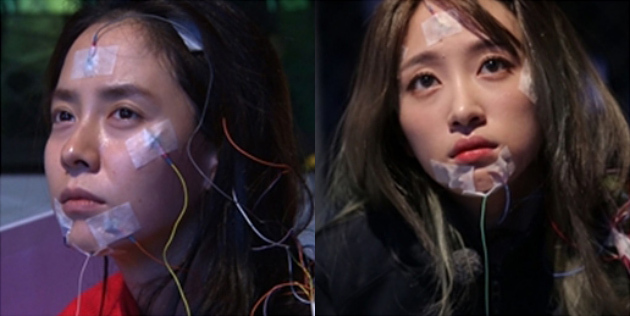 Hani competed with Song Ji-hyo to see who would fall asleep first, in reference to the first episode that Hani appeared in, in which she fell deeply asleep while on video. Hani won the competition with Song Ji-hyo, but her group didn’t win the final mission. 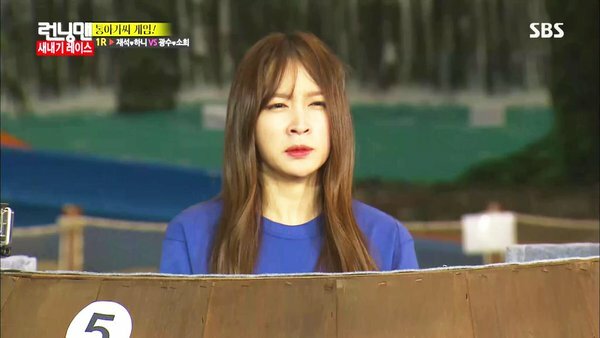 We will wait for Hani to make an appearance in Running Man again!